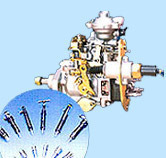 Our company is also engaged in manufacturing & supplying of diesel engine. 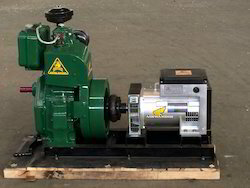 These engines are procured from the vendors who use the best quality material of construction and advanced methods of engineering in the production process. 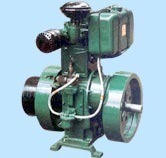 These diesel engines find usage in various agricultural and other industrial applications. We also customized these diesel engines as per our client’s specification also we have very wide range of different types of diesel engines are available with us. 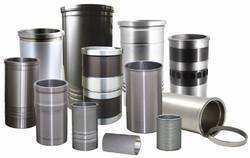 Our range of products include Metal Cylinder Liner and Generator Set Lister Type Single Cylinder. We are engaged in manufacturing and exporting of automotive engine parts. Our range of engine parts are manufactured with very high quality material also these engine parts play a vital role in the performance of the vehicle and can be availed with us at very cost effective prices. There are very wide ranges of automotive engine parts are available with us like fuel injection system, connecting rods, bearing bushes, camp shaft/ crank shaft etc. 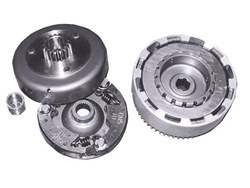 Manufacturer of a wide range of products which include Clutch Part. 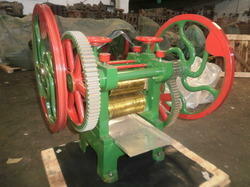 Leading Manufacturer of Sugarcane Juicer Machine from Rajkot.